First, a personal note. Thank you for praying for me physically. I was in pretty much constant pain for two weeks, but I have been gaining since Sunday. I am not 100% but much, much closer than I was. Praise God! I appreciate you interceding to God for us. It is time for another Revival In Pictures post. 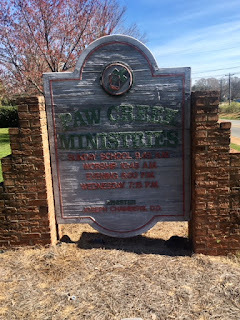 This one is from Paw Creek Ministries in Charlotte, North Carolina. We first preached revival from Pastor Joseph Chambers in the spring of 2004. We were here for several revivals and three camp meetings over the next three to five years and it is so good to be back. The altar services have been so good each night. We are praising God for His help and looking forward to the results that are to come in the future from His Word in our hearts. I hope you enjoy the Revival In Pictures. We have also been preaching each morning for school revival. You can see those pictures we posted yesterday.